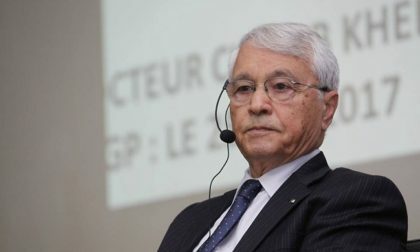 Algeria’s former minister of energy and ex-Secretary General of the oil cartel OPEC Thursday threw his full support behind incumbent President Abdelaziz Bouteflika should he run for another term during April Presidential elections. “We reaffirm once again our outright commitment and our entire support for any decision that President Abdelaziz Bouteflika may make as of the Presidential elections,” Khelil said in the statement. Algerians will go to the polls on April 18 to elect their president. Two candidates have so far announced their intent to seek the top job. Retired army General Ali Ghediri on Saturday (Jan.19) opened the lid over his plan. He was followed the following day by former Prime Minister Ali Benflis who conditioned his participation to validation by his party, Talaie El Hourriyet. The nation is in limbo as it wonders if Bouteflika will seek a 5th term in office. The incumbent President has not unveiled his plans yet. He is in poor health condition since he suffered in 2013 a stroke, which impaired his speaking and mobility abilities. Millions of Algerians believe that their President can no longer rule the oil and gas rich African country.